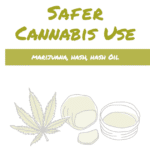 Are you interested using cannabis by safer methods? There’s lots of important information available to you to help inform your choices. 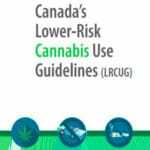 Please check out the recommendations for safer use and download the linked brochure and fact sheet. 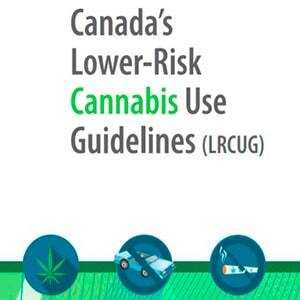 For more information about cannabis harm reduction we recommend this site. 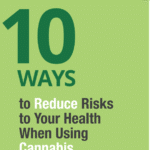 All cannabis use can contain risks. The only way to completely avoid these risks is by choosing not to use cannabis. If you use, choose low-strength products, such as those with a lower THC content or a higher ratio of CBD to THC. Don’t use synthetic cannabis products. If you choose to smoke cannabis, avoid inhaling deeply or holding your breath. Try to limit your use as much as possible. Cannabis use impairs your ability to drive a car or operate other machinery. Don’t engage in these activities after using cannabis, or while you still feel affected by cannabis in any way. Avoid combining any of the risky behaviours described above.